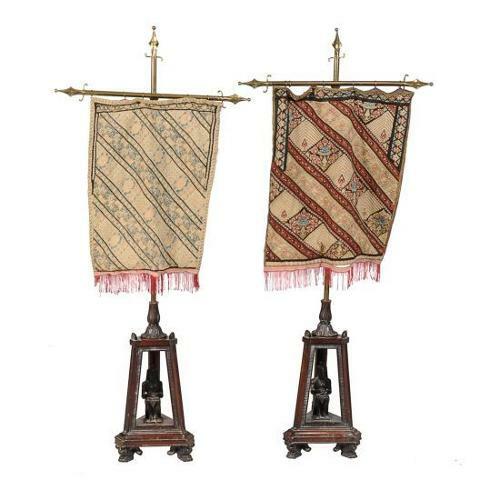 A pair of Egyptian revival pole screens, tripod bases with a carved seated Pharaoh. Late 19th century. Provenance: Kingstone Lisle Park, Oxfordshire.